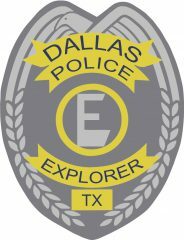 The Dallas Police Explorer Program is for young people aged 14-21 who are interested in law enforcement as a possible career, and is under the umbrella of the Boy Scouts of America. Explorers participate in weekly meetings that teach them about law enforcement, as well as life skills to prepare them to become the leaders of tomorrow. Explorers compete in law enforcement competitions around the country, exposing them to leadership opportunities. Community service is required and becomes instilled as a character trait with our Explorer youth and is a leadership quality the Dallas Police Explorer program embraces.